Igor Yuzov was born in Germany, raised in Ukraine and studied in Russia. He grew up in the former Soviet Union, where folk music was the norm and rock'n'roll was illegal. A rebellious streak, however, led him to seek out the forbidden music. As soon as it became possible, Igor left Russia for America with his "Folk'n'Roll" band Limpopo and was personally greeted by Ronald Reagan. Evolving over the years, Igor's music has been labeled "Siberian Surf Rock' which contains humorous lyrics and grooves that forces his audience to dance. 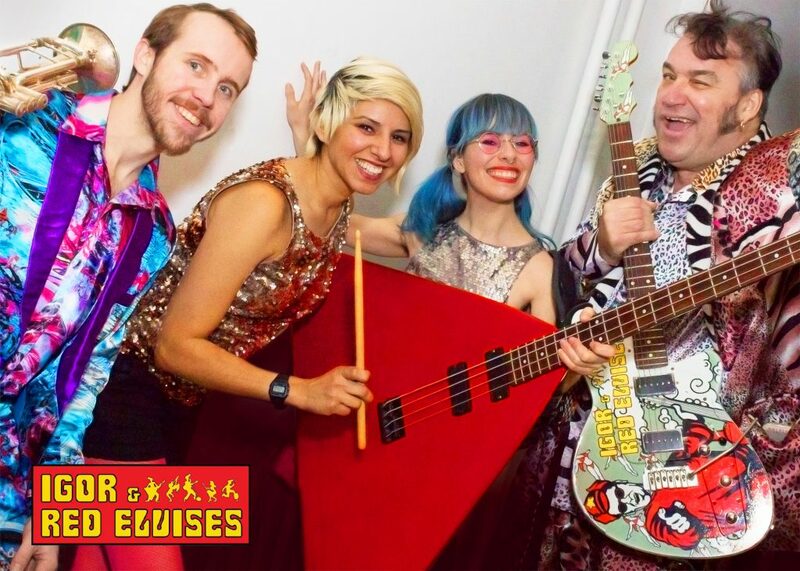 Over the past 20 years, Red Elvises have constantly toured all over the world with occasional breaks to record new music and to participate in film and television projects.